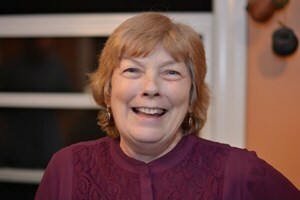 Newcomer Family Obituaries - Marty Ann Duckworth 1948 - 2019 - Newcomer Cremations, Funerals & Receptions. On Friday March 22, 2019 Marty Ann Duckworth peacefully passed away. Marty Ann was born July 27th at Good Samaritan Hospital in Cincinnati, Ohio to June Ann Tierney (nee Warren) and Martin Anthony Tierney. Martin passed away before Marty Ann’s birth; she was later adopted by Jacque Cain. Marty led a full life; she worked in hospitals, banks, restaurants, bars, and boutiques. She always found time to laugh and have fun. Her smile and her big beautiful eyes spread joy to anyone who crossed her path. Marty was a great cook, a champion bowler, and a dear friend to many. She enjoyed watching movies featuring Shirley Temple, Laurel and Hardy and Marilyn Monroe. Marty loved seafood, champagne, and white chocolate; she loved her poodle Bindy and fiercely loved her family. Marty Ann had two sons, Brien and Erin Shinkle; she later wed Lee E. Duckworth and gained a daughter, Jennifer Whittington (Alex Whittington). Marty was preceded in death by her mother; both of her fathers; and her younger brother, David Cain. She is survived by her husband Lee; sons and daughter; stepmother, Charlene Cain; her sisters, Kathy Canfield, Barbara Rothwell, Helen Cain and Christine Cain; her brothers, Randall Cain and Charles Cain; grandchildren Hope Frey, Logan Shinkle , Wells Whittington; great - grandchild, Sage Frey; as well as numerous nieces and nephews. Please join us to celebrate her life at Newcomer Funeral Home West Side Chapel, 3300 Parkcrest Lane Cincinnati, Ohio 45211. Visitation will be held on Wednesday March 27th from 7:00pm to 9:00pm. Burial will be held at Bridgetown Cemetery. To share a memory of Marty Ann or leave a special message for her family, please click the Share Memories button above. Add your memories to the guest book of Marty Ann Duckworth. R.I.P. Marty, I Loved you for 20 yrs broke my heart to see this. Enjoy your eternal life with JESUS. See you one day again. You meant a lot to me. Always caring and nice to me. I will remember you always. till we meet again I Love You. I loved Marty Ann and feel blessed to have known her. She was one of the sweetest, soft spoken and most even tempered women I ever met. Her softness and kindness shone brilliantly when she was "the voice" behind all incoming calls at the bank we worked for. She loved all people, especially her family but had a gift to make even strangers feel special. She was a fantastic cook and I always thought that Marty could have been a menu writer. She could make White Castle's menu sound like gourmet food! I shared a lot of special and fun moments with this beautiful woman with the Irish eyes that smiled - And even twinkled!! What a smile you brought to other people and we'll never forget the love you had for your family and friends. May the angels carry you swiftly to your forever home. We will never forget you because one lives forever in the hearts of those who remember! May the sun shine warm on your face, The rains fall soft upon your fields.